I learned Systems- and Software-Engineering from Engineers in Bochum, and near Frankfurt/Main, and from Guys at the Valley around Xerox in Palo Alto and Nuclear Physics in Stanford. I also learned agile Programming and to boldly go, where no Software-Developer has been gone before at Computational Physics and in Northwest Bavaria. 30 years Experience now. Still love to build Software and Systems. You may call me port80guru. Friends may call me NBC wich is short for Natural Born Coder. 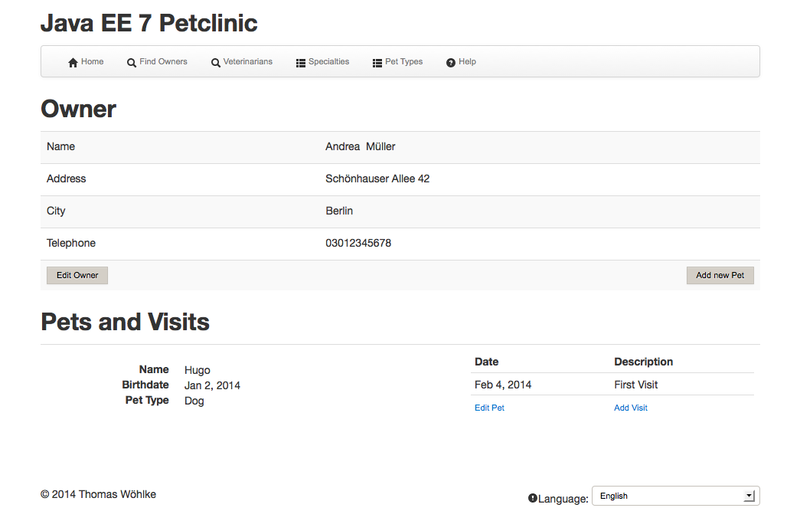 A Java EE 7 Version of Spring Petclinic. 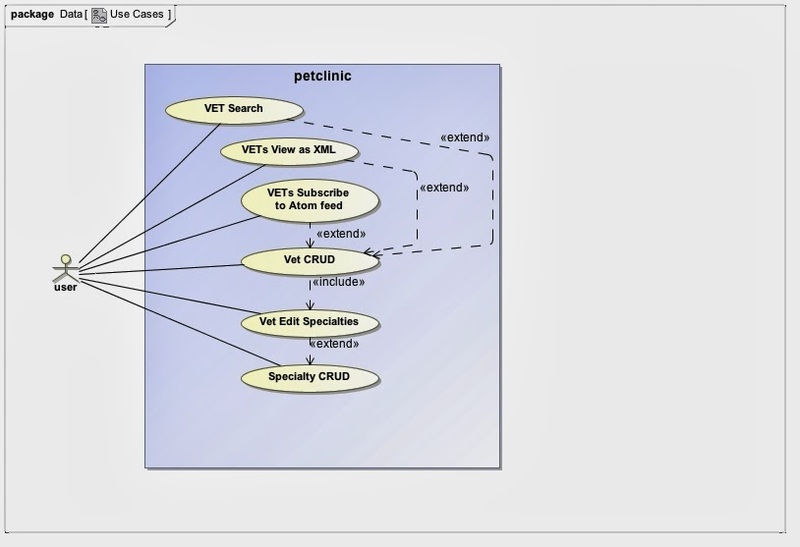 Depending on JSF and EJB and ready to run on JBoss WildFly and Oracle Glassfish. 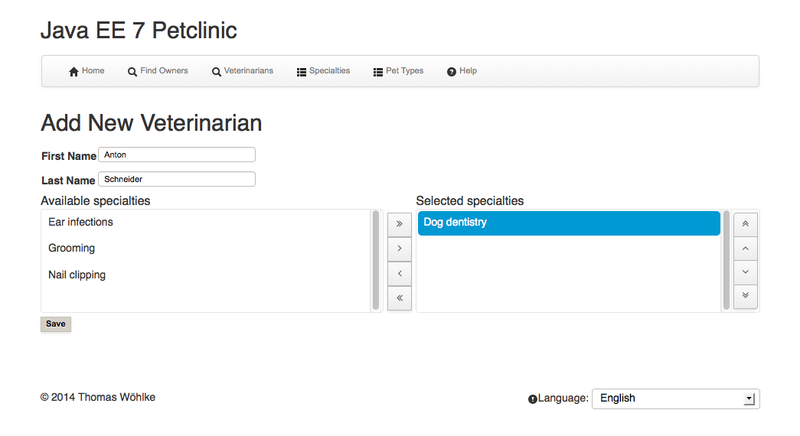 Petclinic is tested on Wildfly and GlassFish using the Arquillian ecosystem. 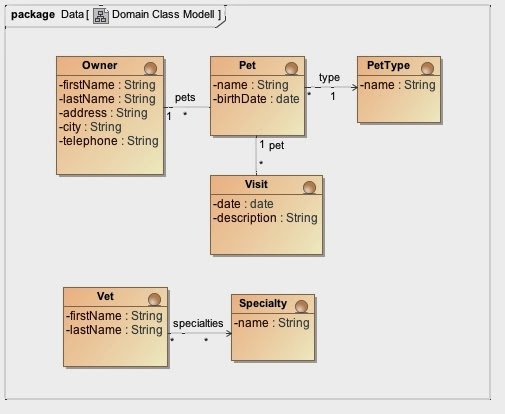 Only one profile can be active at a given time otherwise there will be dependency conflicts. mvn clean install -Pwildfly-managed This profile will install a Wildfly server and start up the server. Useful for CI servers. 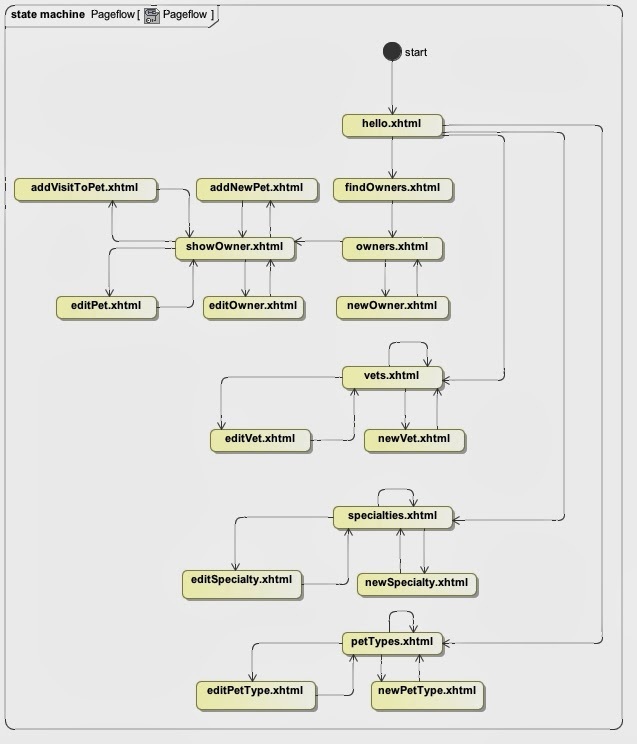 mvn clean install -Pwildfly-remote This profile requires you to start up a Wildfly server outside of the build. Useful for development to avoid the server start up cost per sample. mvn clean install -Pglassfish-remote This profile requires you to start up a GlassFish 4 server outside of the build. Each sample will then reuse this instance to run the tests. Useful for development to avoid the server start up cost per test. mvn clean install -Pglassfish-managed This profile will install a Glassfish 4 server and start up the server. Useful for development, but has the downside of server startup per Test. You have to start a JavaDB (Derby) Server outside of the build before running the Test. When developing and runing them from IDE, remember to activate the profile before running the test. 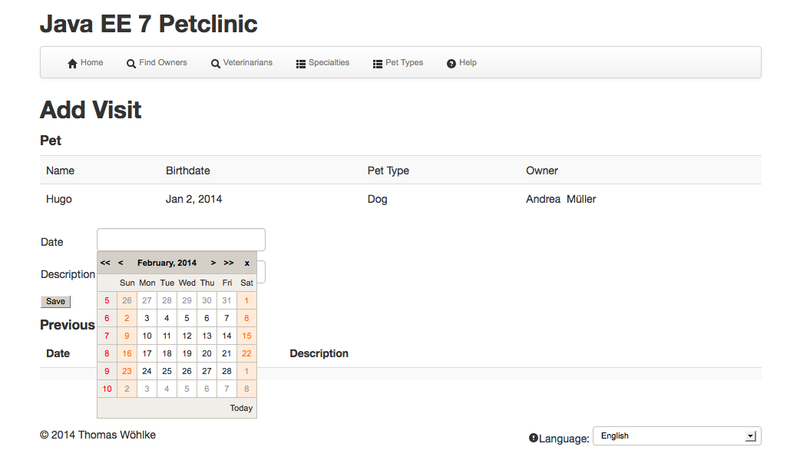 Calendar and PickList are RichFaces Components. They also provide WebElements for Arquillian+Graphene Testing. add an Owner, add him am a Pet and his Pet a visit. Nice port but why not using CDI ? 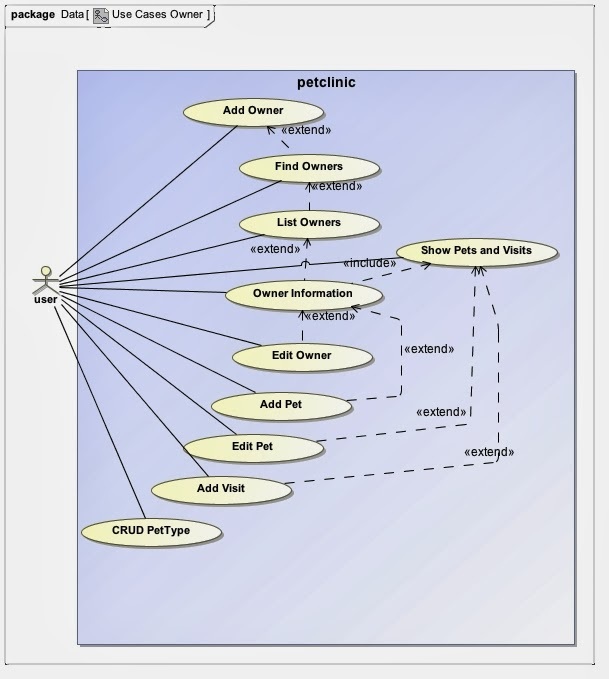 how to configure Wildfly10 to have a DataSource for MySQL like Openshift the RedHat Cloud. WildFly 8 Final is released!